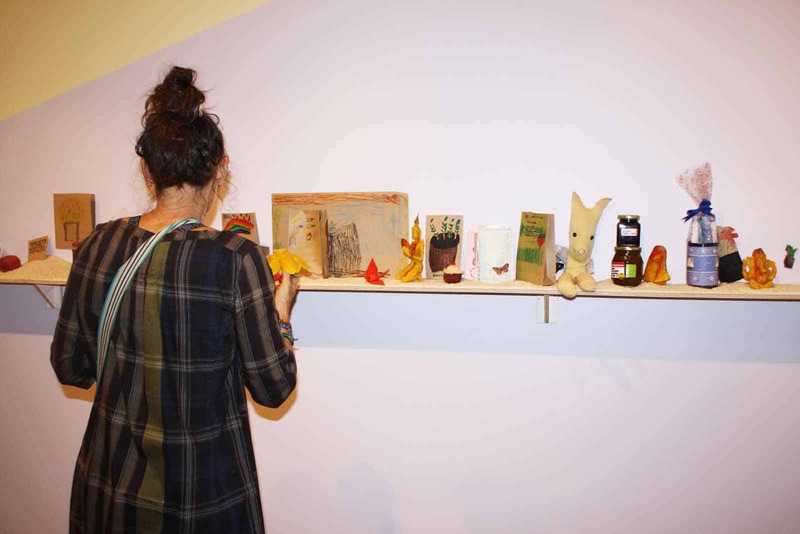 This work is grounded in an economy of gifting and sustainability, subverting commercial systems of exchange. 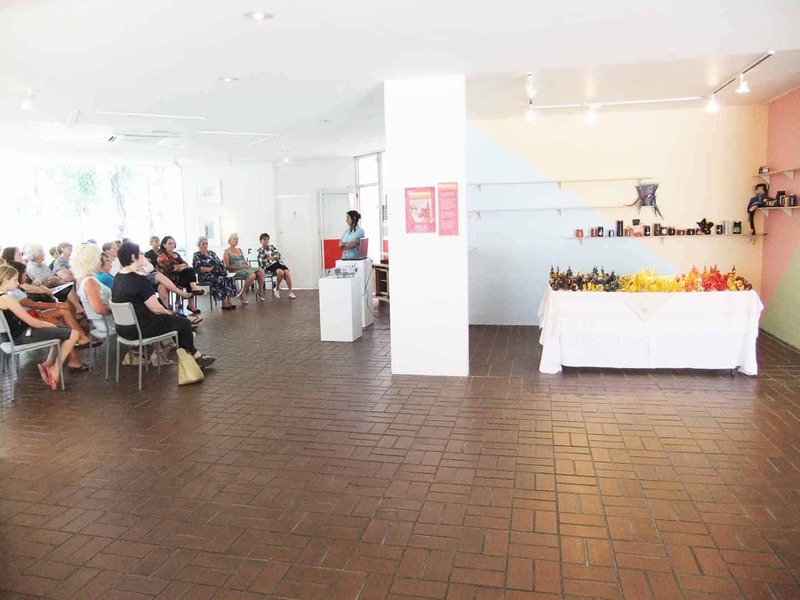 At the same time applying social practice methodologies to shift the appearance and outcomes of the exhibition. 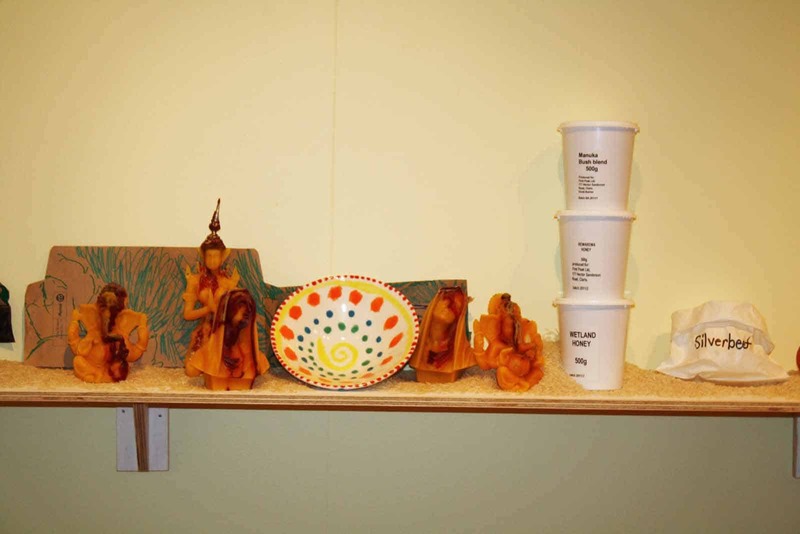 At the conclusion of the show all food will be collected and gifted / donated to community food bank with the toys going to the community centre, and Hawke’s Bay Regional Hospital. 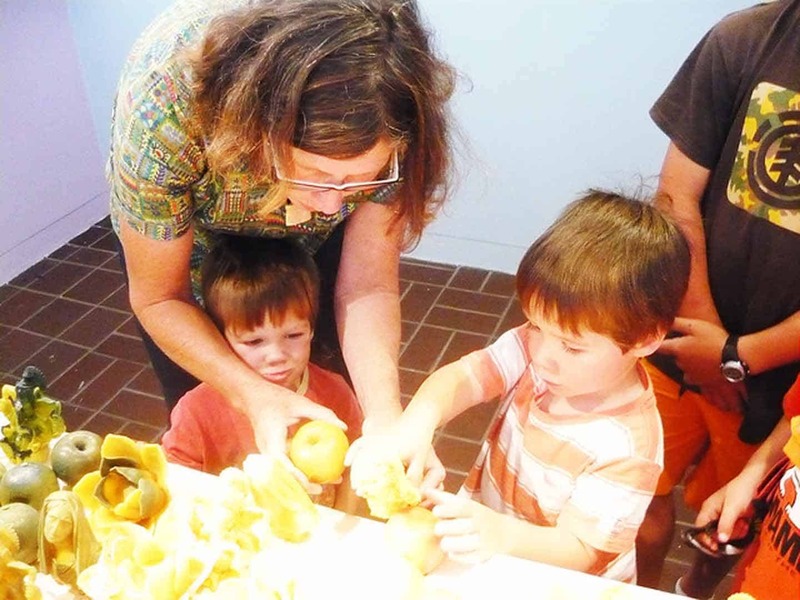 The idea behind the cyclical process of giving and receiving is to generate community spirit – through the contents and remains of the work providing sustainability and community outreach on a practical level. 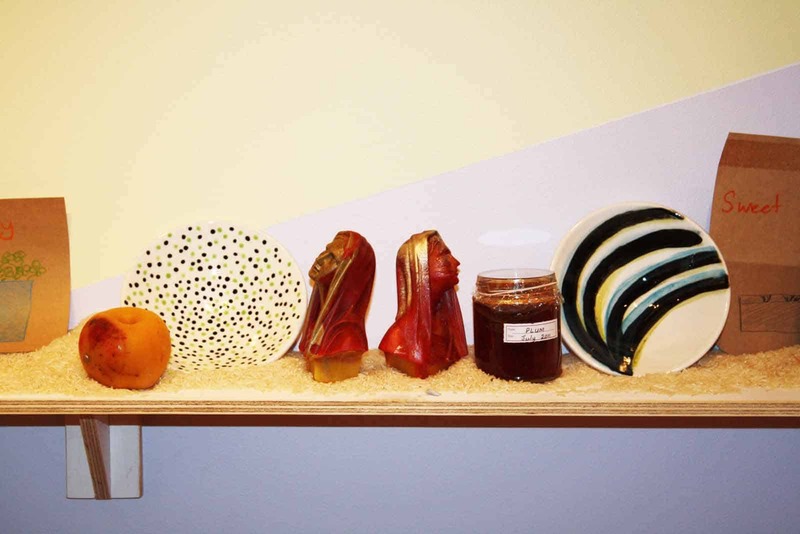 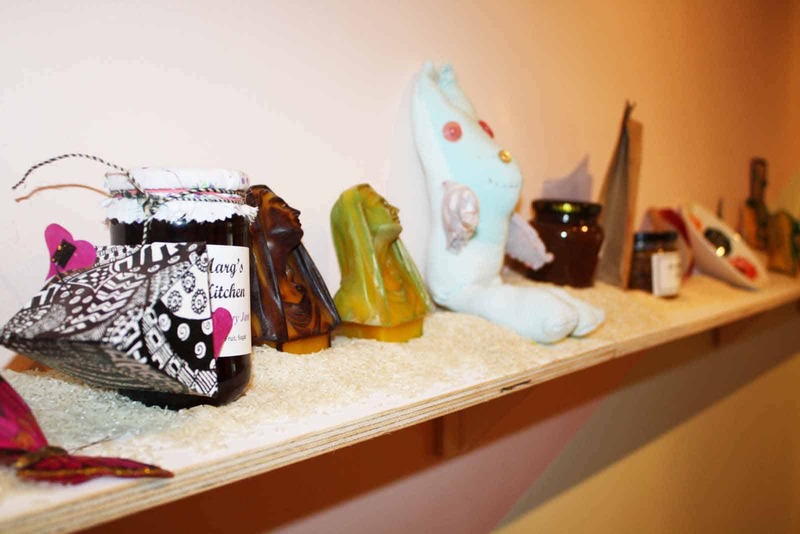 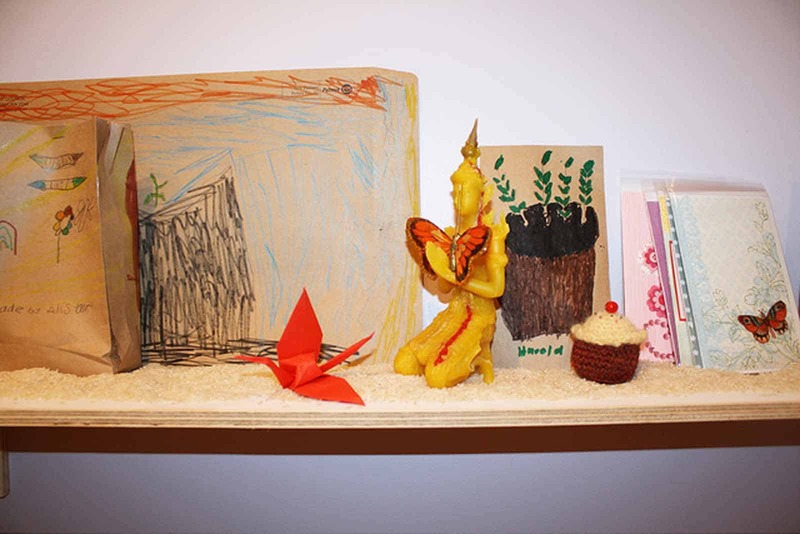 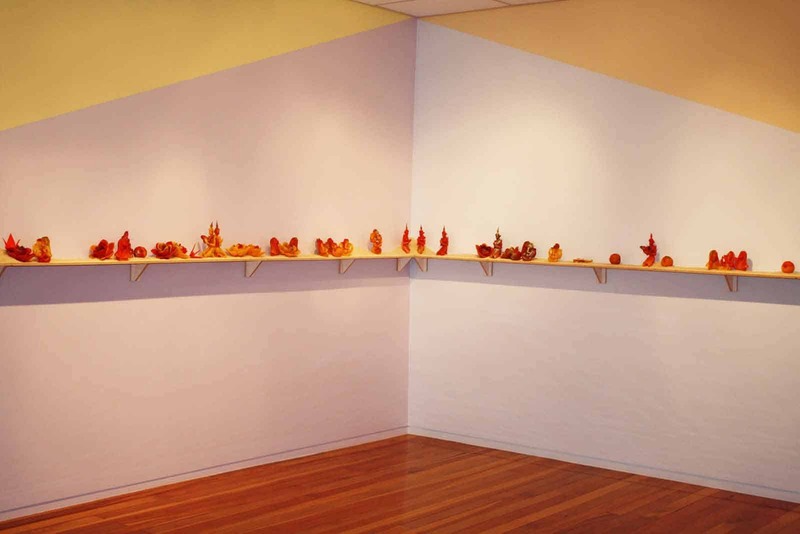 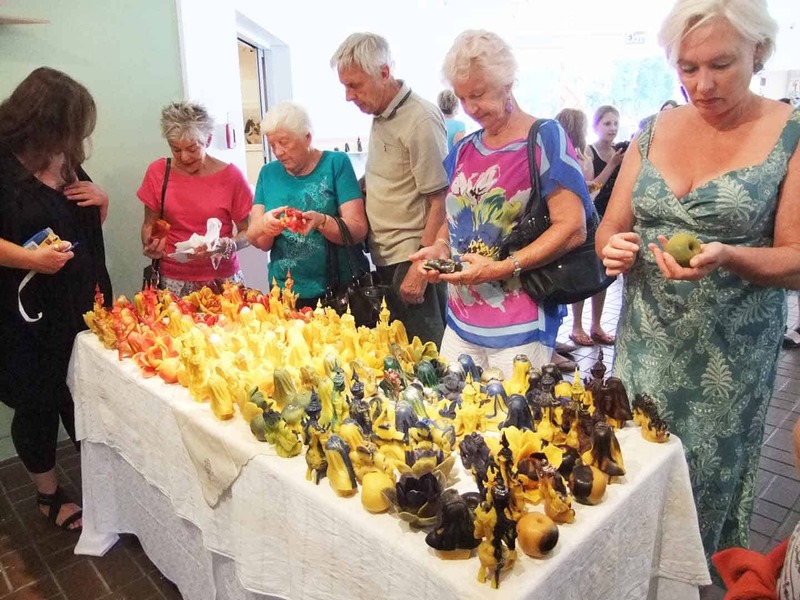 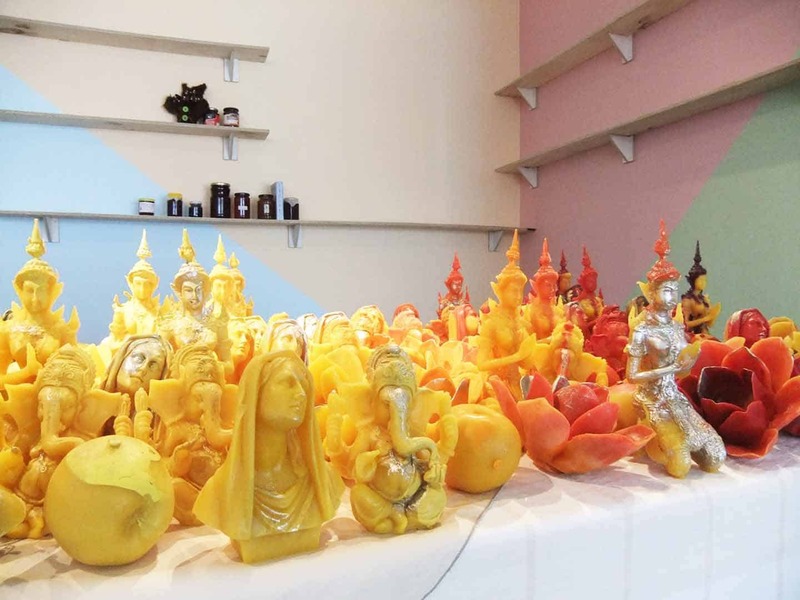 Following the opening event, the wax sculptures became available for barter, whereby audience members could chose a wax figure in exchange for a jar of food, homemade preserve, or pre-loved toy which replaced the votive in the installation for the remainder of the exhibition. 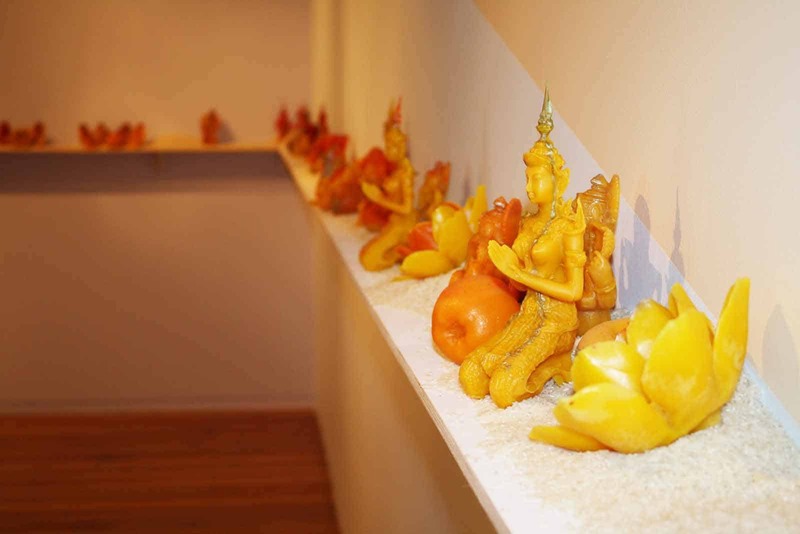 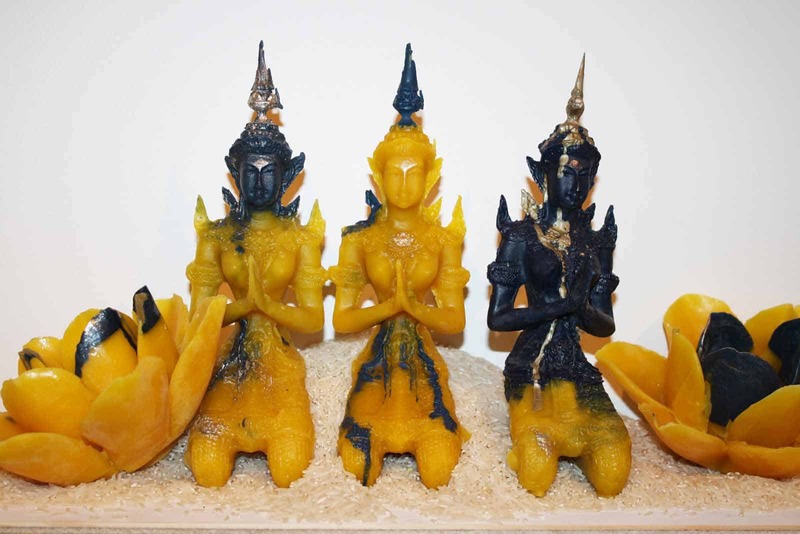 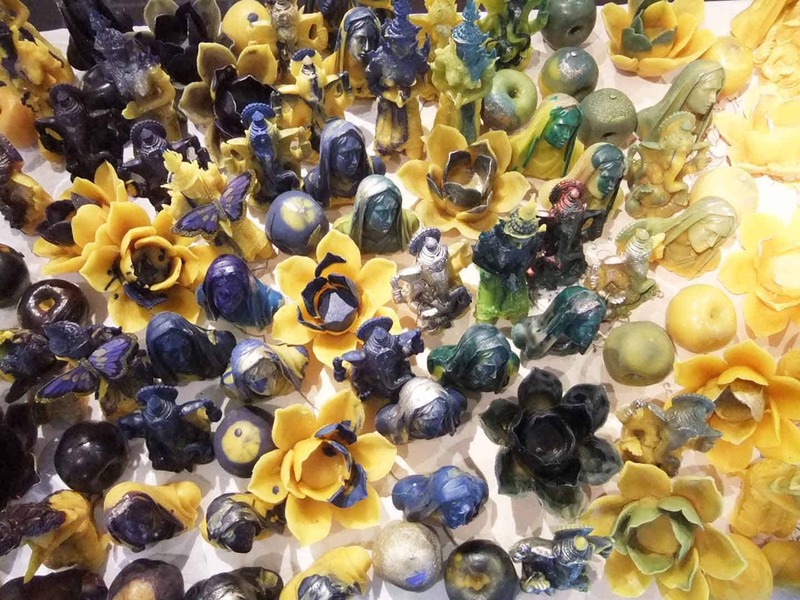 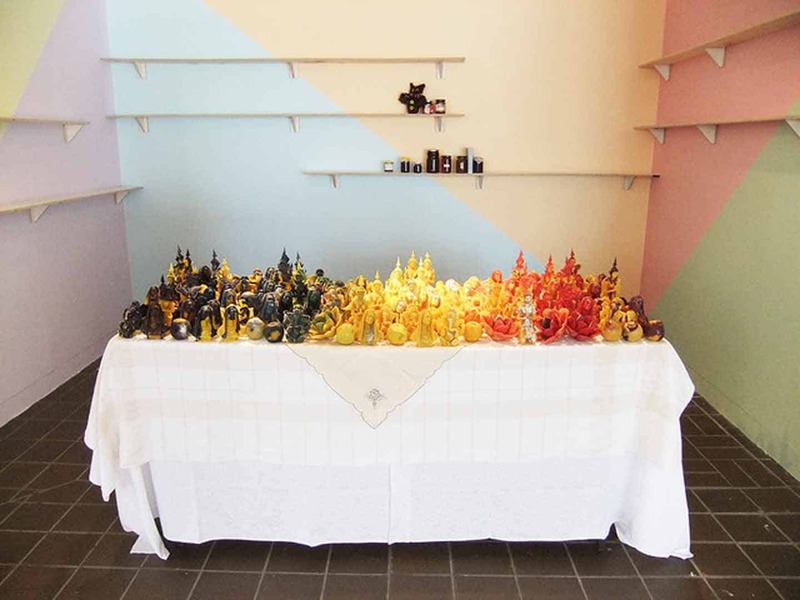 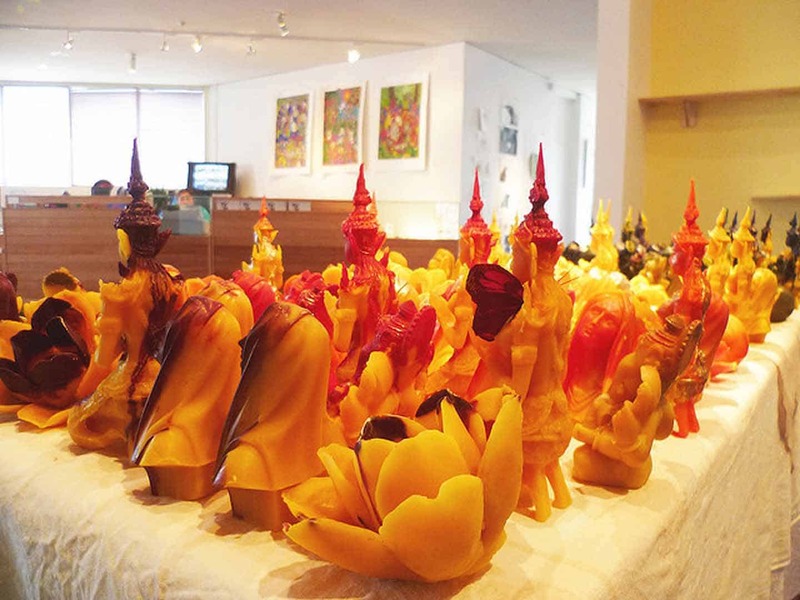 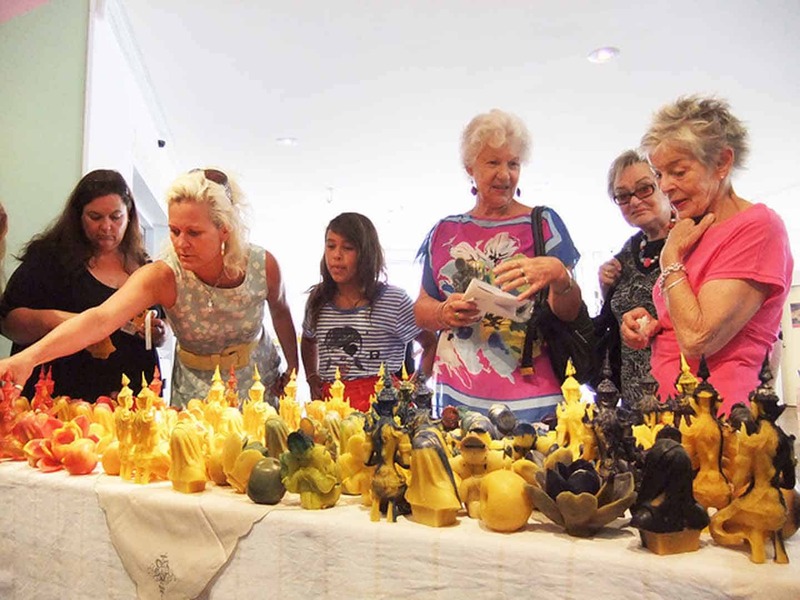 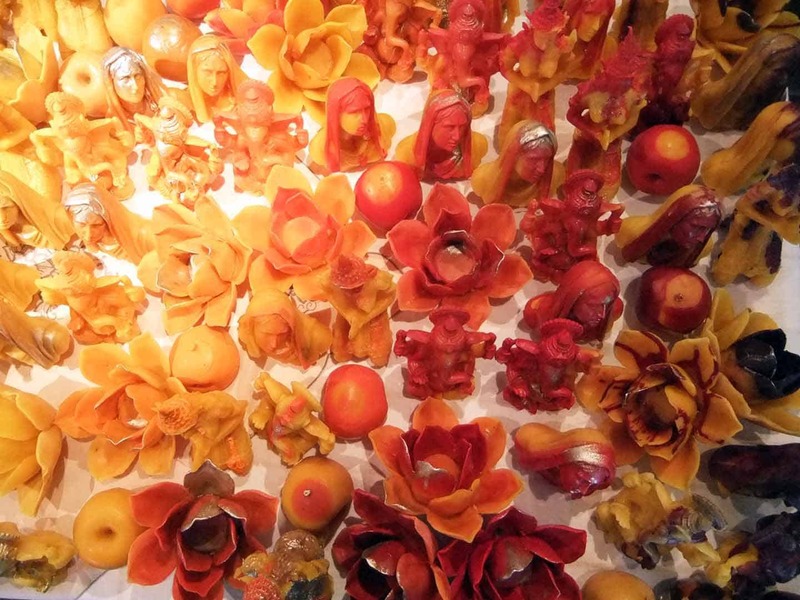 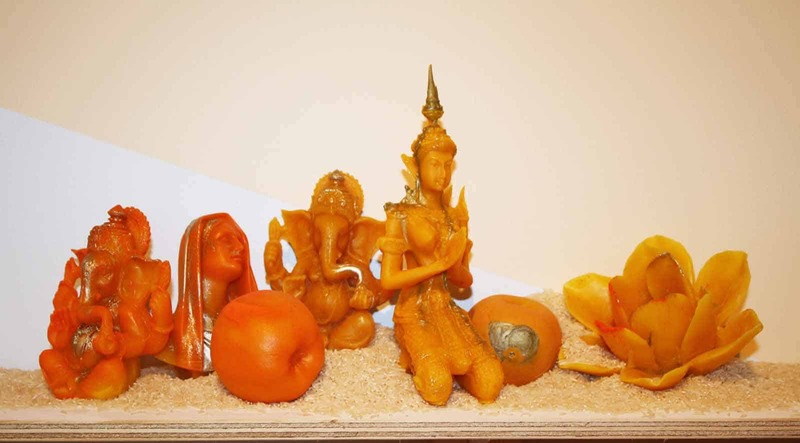 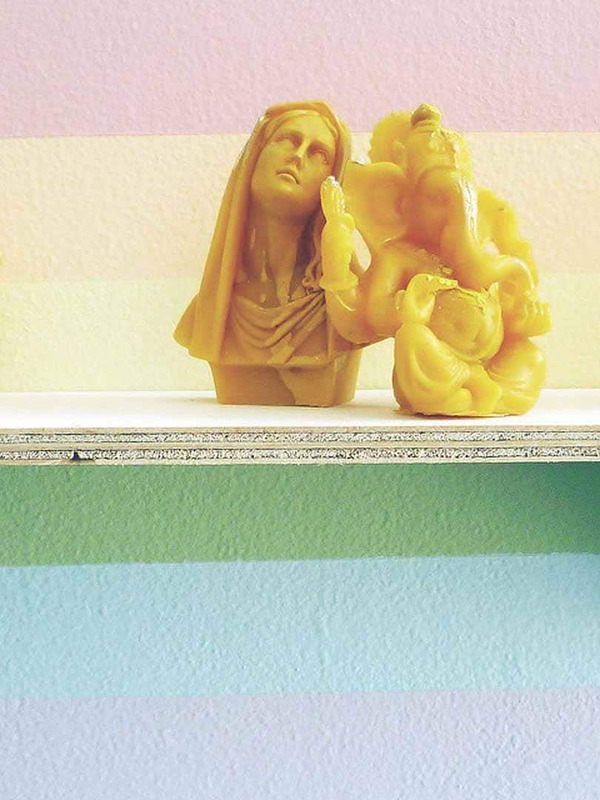 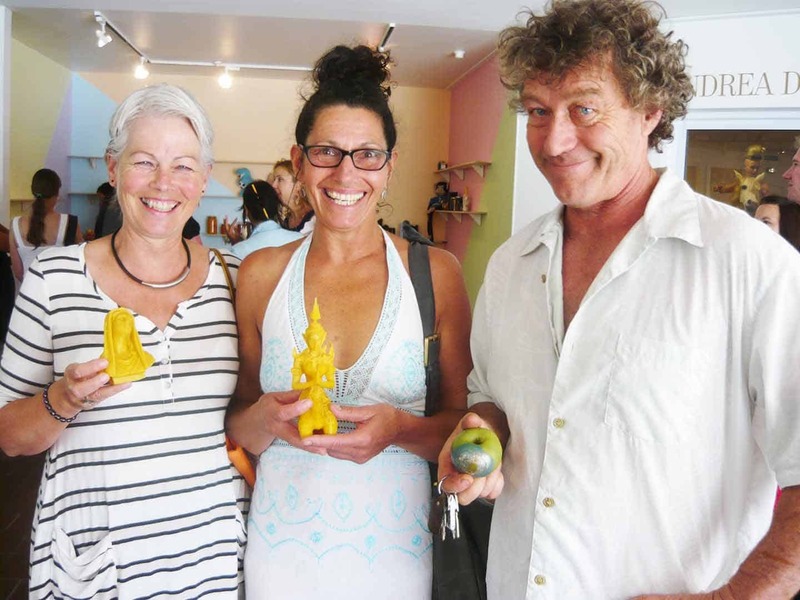 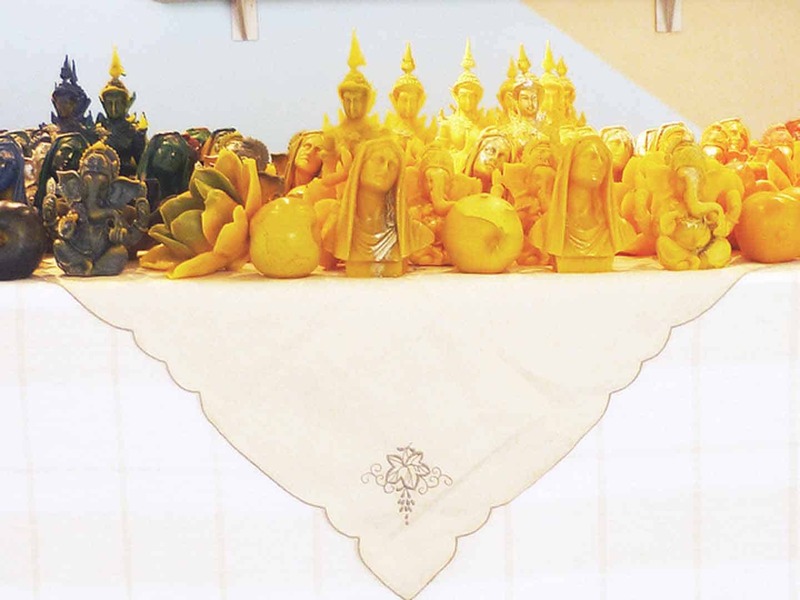 The coloured beeswax-cast votives represent different religious idols and symbolically reflecting the diversity of New Zealand’s cultural identity. 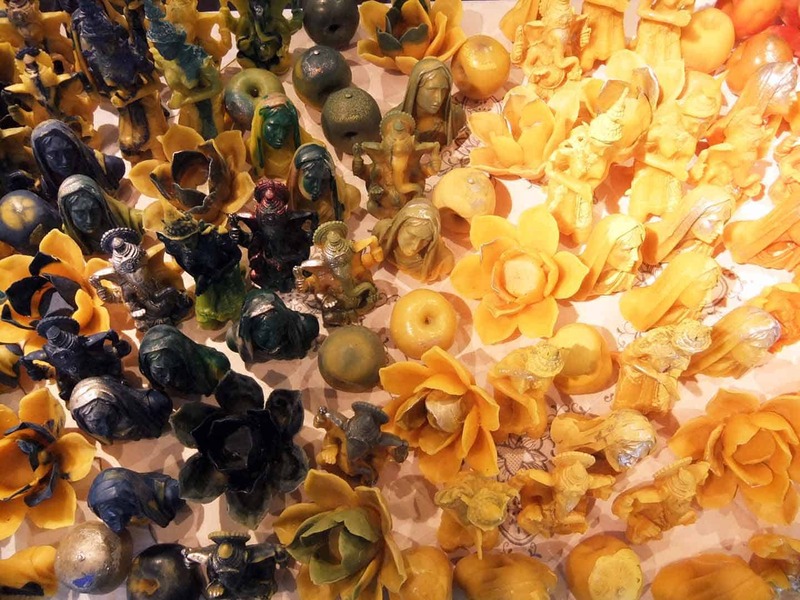 These forms aim to speak of sustainability and environmental conscious at the heart of their organic beeswax materiality. 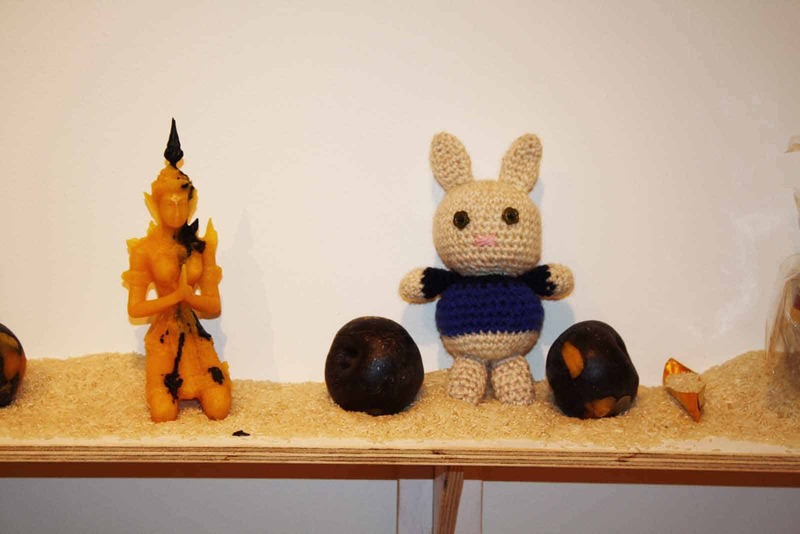 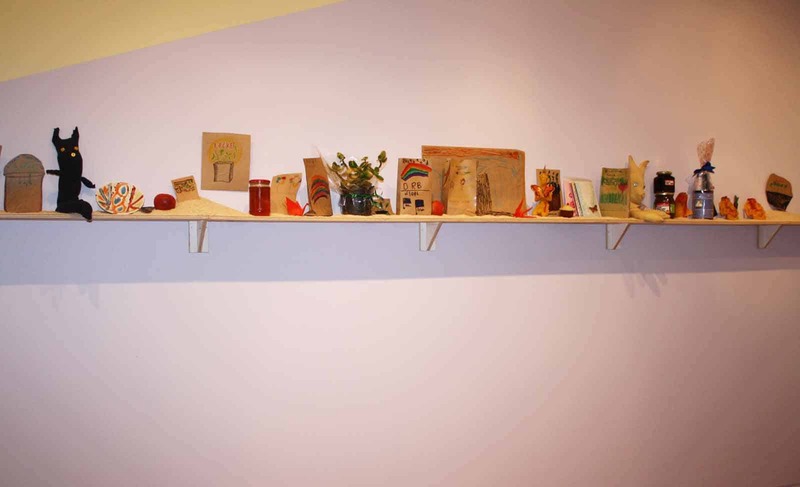 Alongside the exhibition free classes will be held in which the public can learn how to make homemade toys. 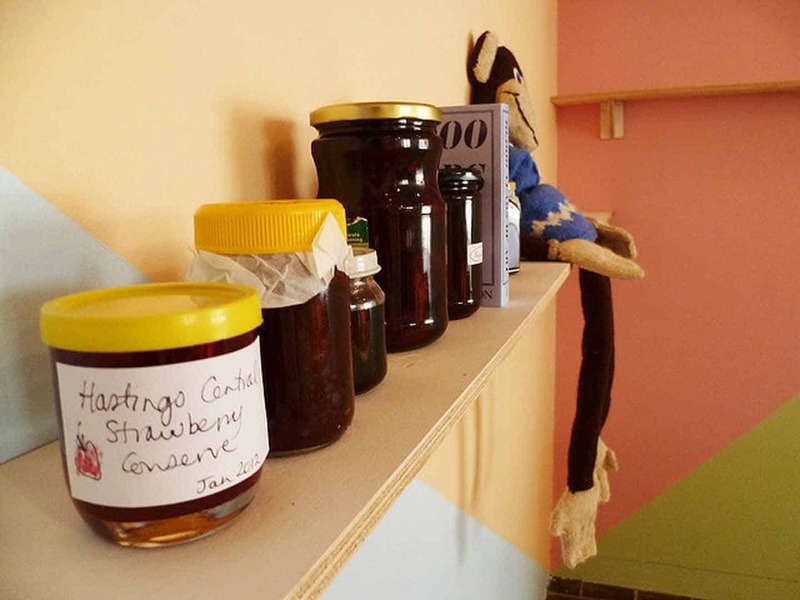 This is an effort to promote a particular food consciousness, and to educate people to save money and eat well with easily grown and available local produce that they can share within their own communities.